Why Alltek? 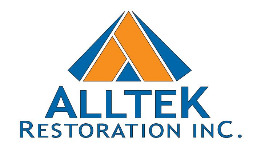 | Alltek Restoration, Inc.
Home / About / Why Alltek? Choosing the right contractor is crucial for any project to be successful. We specialize in Emergency Services, Contents, Restoration, and Reconstruction. You can rest knowing that your project's interest is at the top of our concerns. Alltek is committed to providing our clients with the highest quality work and exceptional customer service, while assuring you of a well executed plan to complete your project. You and everyone involved in your project will feel confident we are leading the way. Xactware® is recognized in the claims industry and used by many insurance providers. All of our restoration scopes and reconstruction estimates are generated using the Xactimate estimating software or Xactcontents for personal property. With our estimating staff’s knowledge, combined with the power of Xactimate, our estimates indicate exact quantities and materials & labor. This is accompanied with a clear description of work to be performed and graphical reference providing you with a clear concise scope of work that Alltek will perform on your project. There are many aspects to your claim, that our trained and expert staff will guide you through the process. We provide you with a single claim solution from start to finish. Once you choose Alltek Restoration, Inc. you will have one point of contact for your entire claim. No call centers. You will never be a claim number. Fire Damage, Water Damage, Smoke Damage, Storm Damage, Vandalism, Vehicle and more. Are very common requirements after storm or fire loss. The damages caused by the actual fire and tactics use to extinguish can leave your property with broken or blown out windows, burnt doors or broken doors, ventilation holes in roofs, and structural deficiencies all of which leaves the property open to accessible, in distress, and insecure. We will secure all loss related openings with temporary measures securing the property and temporary structural repairs to help prevent further damages.